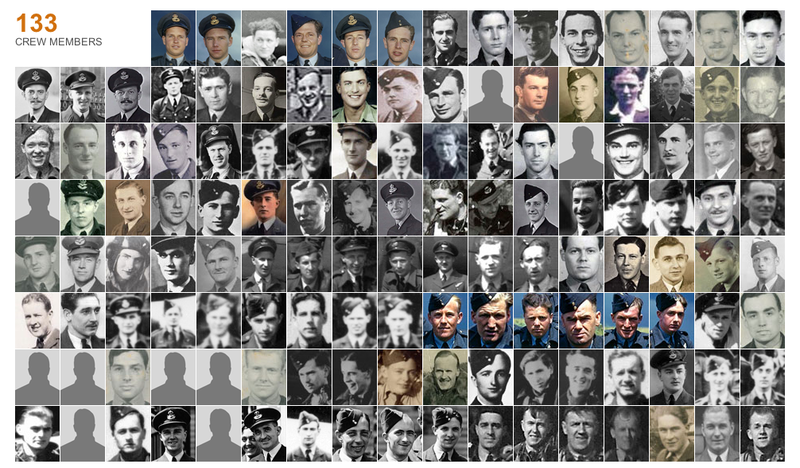 Greig Watson and his colleagues at BBC online have been slaving away for the last few weeks trying to get a complete pictureboard of all 133 aircrew who took part in the Dams Raid. Believe it or not, a display of this type has never been published before, and they deserve huge credit just for taking on the work. However there are a few gaps, and the Beeb is very keen to find a relative somewhere who can help find a picture of the missing aircrew. All of them are British, so there should be a good chance that together we can complete the jigsaw. If you are related to any of these men, or know of a source for a picture of them, please let me know (leave a comment below or send me a private email) , or log onto the BBC site and send them the details. We had driver on British airways who was on 617 sqdn his log book showed a lot of history ..His name was ALEC SHARPE rear gunner I believe >>..